If you haven't done your holiday shopping quite yet, Black Friday is chock full of deals for the most coveted gift items this season. Once you're stuffed with turkey, stuff your shopping carts — either real or virtual — with some of the best deals around. WASHINGTON — If you haven’t done your holiday shopping quite yet, Black Friday is chock full of deals for the most coveted gift items this season. Once you’re stuffed with turkey, stuff your shopping carts — either real or virtual — with some of the best deals around. Which shops offer the biggest discounts? If you want to condense where to go on Black Friday, Wallet Hub recommends hitting up the retailers with the biggest average percentage discounts available. Those retailers include Belk (68.9 percent), JCPenney (65.1 percent), Stage (62.1 percent), Kohl’s (60.8 percent) and New York & Company (54.5 percent). The average discount for Black Friday is 37 percent, so Wallet Hub recommends that shoppers should look for a discount amount of 37 percent or higher. A. Ant Bozok, associate professor at University of Maryland Baltimore County told Wallet Hub that clothing and larger items such as furniture, as well as niche items are much more likely to get price reductions on Black Friday. 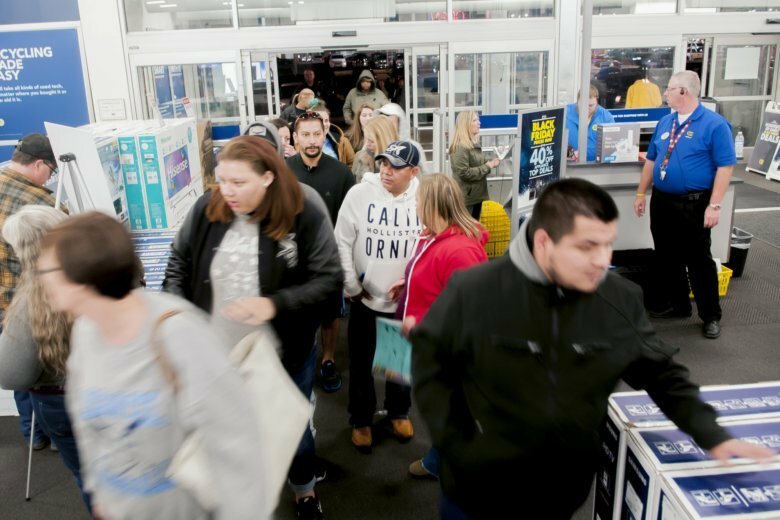 Phones, smart home assistants, games consoles, pressure cookers and even DNA Kits may see some of the biggest price drops this Black Friday, according to U.S. News and World Reports. It seems like Black Friday comes earlier and earlier each year. That’s actually true when it comes to the deals available. Amazon is rolling out the deals as soon as Monday, Nov. 18. There are a surprising number of products to skip purchasing on Black Friday if you want to snap up the best bargains. Here are some of those items. Amazon devices will see some of the biggest discounts and bundles; for example, if you buy the Fire TV Stick, you get the Echo Dot for free. Also on sale, are the Blind Indoor Home Security Systems. Every deal of the day is different, so make sure to check out their website for the biggest discounted items. Doors open even probably before you’ll serve Thanksgiving dinner. At 5 p.m., savvy shoppers can take advantage of in-store only deals including a 70-inch LG LED Smart TV for only 699.00. Save $130 on select Chromebooks, ranging from $99 to $129. Looking for a new phone? Customers can save $300 on the Samsung Galaxy Note9, S9 or S9+ when it’s activated with Verizon, AT&T or Sprint. KitchenAid’s stand mixer is going for $219.99, less than half of its original price. Those curious about their ancestry can save $30 on a 23andMe DNA Test. All TV’s are on sale. The Fitbit Versa smartwatch will be on sale at $149, and will be available in a Target-exclusive color. Wanting to step up your cooking game next year? The Instant Pot Duo will be on sale for $69.95 and $10 Target GiftCard. Shopping around for a new phone? Shoppers can get a $150 Target gift card with the purchase of an iPhone 8 Plus, iPhone 8 or iPhone X and the additional purchase and activation through Verizon, AT&T or Sprint. Purchasing an iPhone XS, or an XS Max through Verizon, Sprint or AT&T will get you a free $250 Target GiftCard. More of a Samsung person? You can get a $300 gift card with the purchase of the Samsung Galaxy Note 9 and activation through AT&T or Verizon. 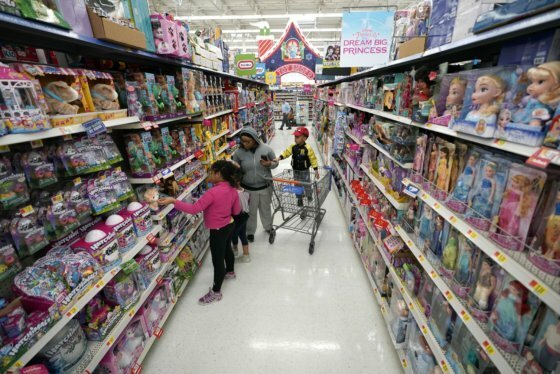 If you’re heading to Walmart in the flesh, deals begin Thanksgiving Day at 6 p.m. Those shopping online can snag deals Wednesday at 10 p.m.
Those on the market for a new game console can get a bundle deal: The PlayStation4 is going for $199 when you also buy the latest Spiderman game for $199. The PS4 usually goes for $300. Spruce up your kitchen with a 30-piece cookware set from Tasty for on $99. The set includes a Google Home Mini. If you need some assistance cleaning up at home, the Shark Ion RV700 Vacuum will go on sale for $179.00. Schedule cleanup time with an easy-to-use remote. Wedding retailer David’s Bridal is offering up some Black Friday discounts both in-store and online. Online, the more you buy the more you save as orders between $50 to $99.99 get $10 off, orders between $100 to $199.99 get $25 off and riders $200 and up get $50 off. The in-store deals are more of a surprise. From Friday through Sunday, scratch-off cards will give customers a chance to win from a wide range of prizes including the grand prize of a Caribbean vacation for two, discounted bridesmaid dresses, a photo session, a Bed Bath & Beyond gift card and more.